Here at CleanWater, we understand that the needs of professional engineers are unique. We know you're not looking for a used-car-salesman type pitch. You want information. This web site extension was created for professional engineers looking for specifics. We've worked to provide you with just what you';re looking for — the facts about what our systems can do for you and your clients. Undoubtedly, you’ll still have unanswered questions after browsing the information provided. We encourage you to contact us with questions to clarify our application to your specific requirements. Discover the newest technology in water treatment. Discover the power of O3. 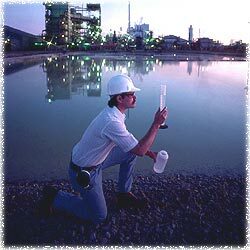 Specifications and Test Results for the Indiana Department of Environmental Management (IDEM).